Phyllis J. (Rosenthal) Swink, 86, of Rock Island, passed away Friday, October 26, 2018 at Generations - Rock Island. A memorial visitation for Phyllis and her sister, Marilyn Rosenthal, who passed away October 24th will be held from 4 to 6 p.m. Thursday at the Wheelan Pressly Funeral Home and Crematory, 201 4th Ave. E, Milan. Memorials may be made to St. Jude Children’s Research Hospital or the Quad City Animal Welfare Center, Milan. Phyllis was born on July 17, 1932 in Rock Island, a daughter of Henry and Mabel (Thompson) Rosenthal. 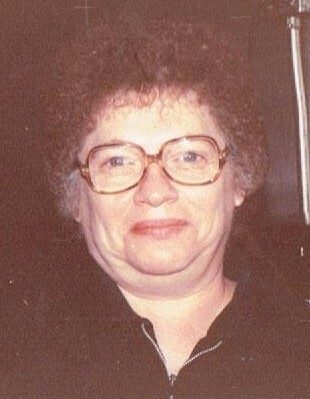 Phyllis was a cook at several area restaurants, including Swan and Bonsons, for over 22 years. She was also a crossing guard at Frances Willard School for many years. Phyllis greatly enjoyed all kinds of puzzles, gardening, yard work and she loved dogs. She dearly loved her family, especially her nieces and nephews. Left to cherish her memory are her sisters; Carol Rosenthal and Alma Via; and many nieces and nephews.